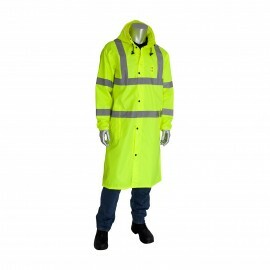 From refrigerated storage, to outside workplaces - you can find cold related safety protection here. 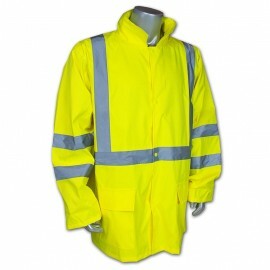 In environments that are cooler than 63 degree's it is recommended that cold protection be provided to workers. 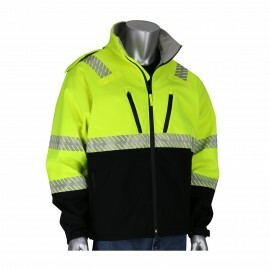 OSHA requires that High Visibility be warn in environments where traffic is present, and the High Visibility Bomber jackets satisfy this need by providing ANSI Class 2 protection, and thermal insulation for individuals exposed to cold temperatures. Frostbite is the freezing of body tissue. Fingers, toes, noses and ears are typically the most commonly affected areas on a person's body. Frostnip is when the affected locations go numb, and does not lead to permanent tissue damage. There are two levels of frostbite. Superficial frostbite is when the outer skin is affected, and Deep frostbite is when deeper tissue levels are affected, such as the lower levels of skin, muscle and bone. Permanent damage is possible depending on how deeply the tissue is frozen. Depending on the level of frostnip or frostbite, the affected areas can exhibit pins & needles sensations, pain, burning and eventually numbness with a white, grey-yellow pallor or even black with severe cases. The skin may blister, and may feel hard and/or waxy. 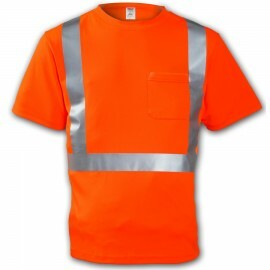 Generally, treatment is to get out of the environment that is causing the issue, and to get out of wet clothing. Immersing the affected area in warm, not hot, water is then effective in less severe cases. Frostbite is not simply related to outdoor adventuring such as climbing mount everest, but can happen in more innocent situations like football games or other outdoor events. Hypothermia is the reduction of the body's core temperature below 95 degrees fahrenheit. Hypothermia can lead to impaired judgement, clumsiness or, in extreme cases, death. Generally, the first sign of Hypothermia is shivering. It is important to realize that in the more advanced stages of hypothermia, shivering can stop and other more serious symptoms like drowsiness, progressive loss of conciousness or death can occur. The Mayo Clinic offers this list of symptoms for hypothermia. 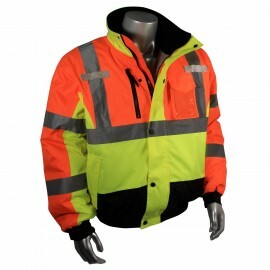 Prevention of hypothermia can include keeping yourself dry, insulated and properly clothed. 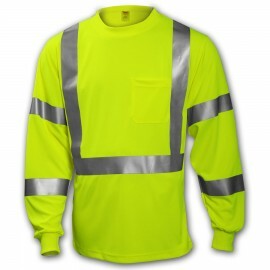 This may involve the use of gloves, jackets and other insulated clothing products. 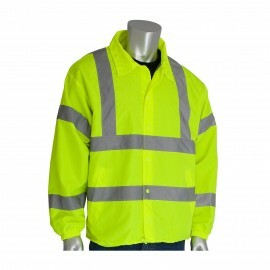 In environments that are cooler than 63 degrees it is recommended that cold protection be provided to workers. 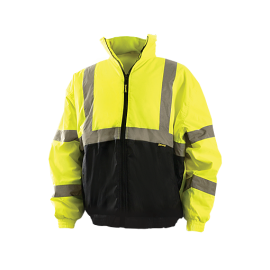 OSHA requires that High Visibility be warn in environments where traffic is present, and the High Visibility Bomber jackets satisfy this need by providing ANSI Class 2 protection, and thermal insulation for individuals exposed to cold temperatures. 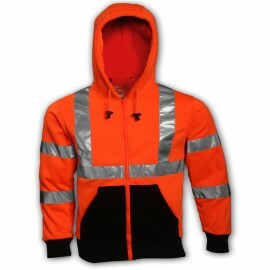 The newer style bomber jackets have a black band across the bottom, which helps address the issue of soiled jackets on the jobsite (workers often lean up against ledges and other obstacles, which leads to dirtily lower jacket sections). 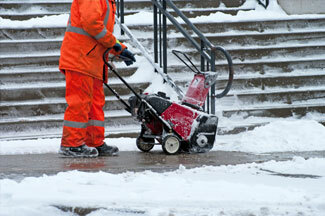 Water is often an issue in workplace environments which can lead to hypothermia (lowering of body core temperature). 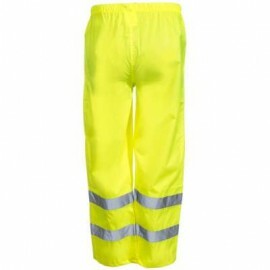 Water in particular prevents the body from maintaining its core temperature, as it wicks away heat, and removes insulating capabilities of normal clothing. By providing a barrier to water, you can be kept warm.